Aims: To describe a robust pretreatment protocol for preparing paraffin wax embedded tissues on tissue microarrays for fluorescence in situ hybridisation (FISH). The newly developed pretreatment protocol described here was compared with the commonly used sodium thiocyanate based protocol and two different heating methods used in standard antigen unmasking protocols for immunohistochemistry (pressure cooking and microwaving in citrate acid buffer). Methods: Dewaxed tissue sections were incubated in 10mM citric acid buffer at 80°C for 30 minutes to two hours, followed by a short pepsin digestion (1–5 mg/ml). Pretreated tissues were co-denatured with DNA probes at 80°C for 10 minutes, followed by hybridisation at 37°C for 48–72 hours. Results: The three protocols using citrate acid buffer produced FISH signals with superior signal to noise ratios compared with sodium thiocyanate pretreatment. Most importantly, the best tissue attachment was achieved using the newly developed pretreatment protocol: on tissue microarrays less than 1% of cores were lost. To date, a total of 30 probes have been successfully hybridised on to breast tissue and multi-tissue microarrays. Conclusion: This pretreatment protocol is easy, reproducible, and facilitates FISH on tissue microarrays, with potential for widespread application in cancer research. Paraffin wax embedded tissues represent an extremely valuable resource in cancer research, particularly with the recent development of tissue microarray technology (TMA), where it is possible to analyse up to a 1000 tissue specimens on a single slide.8–10 However, applying FISH to this archival material is technically demanding: it is difficult to obtain good quality FISH signals reproducibly. This reflects the nature of the tissue, which is usually fixed in formalin.11 In addition, the harsh nature of the pretreatment steps required to unmask target nucleic acids, in combination with DNA denaturation (which involves heat treatment with a high concentration of formamide) has a destructive effect on tissues and target genes. Therefore, it is generally accepted that the key to successful FISH on archival tissue is the use of an efficient pretreatment protocol that will expose the target genes and allow the penetration of the probes, but simultaneously maintain the morphology and integrity of the tissue. The purpose of our study was to develop a simple pretreatment protocol that was robust and reproducible for FISH using paraffin wax embedded cancer tissues in general and in particular TMAs. The breast tumour tissue microarray was constructed as described previously.10 Sections (5 μm thick) were prepared from a tissue microarray block containing 100 cores and placed on to either positively charged slides (BDH, Poole, Dorset, UK) or silanised slides (BDH; Dako, Glostrup, Denmark). A multi-tissue type array was purchased from Ambion (Landmark Tissue MicroArray Test Array, Lot number 022P21A; Ambion, Huntingdon, Cambridgeshire, UK). The Ambion TMA contained approximately 50 specimens/slide of normal or diseased tissues of the following types: liver, thyroid, lung, prostate, muscle, breast cancer, lymph node, lung cancer, testis, prostate cancer, kidney, and colon cancer. In total, 30 probes were tested in hybridisations to TMAs, of which 23 were in house labelled and seven were commercial probes. In house probes (DNA isolated from BAC clones) encompassing genes and loci of interest were labelled with either digoxigenin–11-dUTP, estradiol–15-dUTP, biotin–16-dUTP (Roche Biochemicals, Lewes, East Sussex, UK), or Spectrum Orange–dUTP by nick translation (Vysis, Abott Diagnostics, Maidenhead, Berkshire, UK). These in house probes included 14 BACs on chromosome 8p12 (obtained from Research Genetics, InVitrogen, Paisley, UK and the Sanger Centre, Hinxton, Cambridgeshire, UK), four BACs on chromosome 11q13 (obtained from BACPAC Resource Center, Oakland Children’s Hospital, California, USA), three BACs on 12q24 (obtained from the Sanger Centre), BAC containing GARP (kind gift from Vysis, USA), and a plasmid clone containing centromere chromosome 7 sequences (provided by Dr M Rocchi, Resources for Molecular Cytogenetics, University of Bari, Italy). The labelled probes were precipitated in the presence of human COT1 DNA (Roche Biochemicals) and resuspended in hybridisation buffer (Hybrisol VI; Qbiogene, Nottingham, UK). Commercial directly labelled probes purchased from Vysis were: LAVysion with EFGR–Spectrum Red, C-MYC–Spectrum Gold, loci 5p15.2–Spectrum Green, centromere of chromosome 6–Spectrum Aqua, cyclin D1–Spectrum Orange, centromere of chromosome 8–Spectrum Orange, and centromere of chromosome 11–Spectrum Orange. Figure 1 is a flow chart comparing the steps involved in the pretreatment of paraffin wax embedded tissue sections either with the 1M sodium thiocyanate method or the 10mM citric acid buffer (with different heating methods: heated in a waterbath at 80°C for two hours, pressure cooked for three minutes, or microwaved for 30 minutes using the MicroMED T/T microwave). 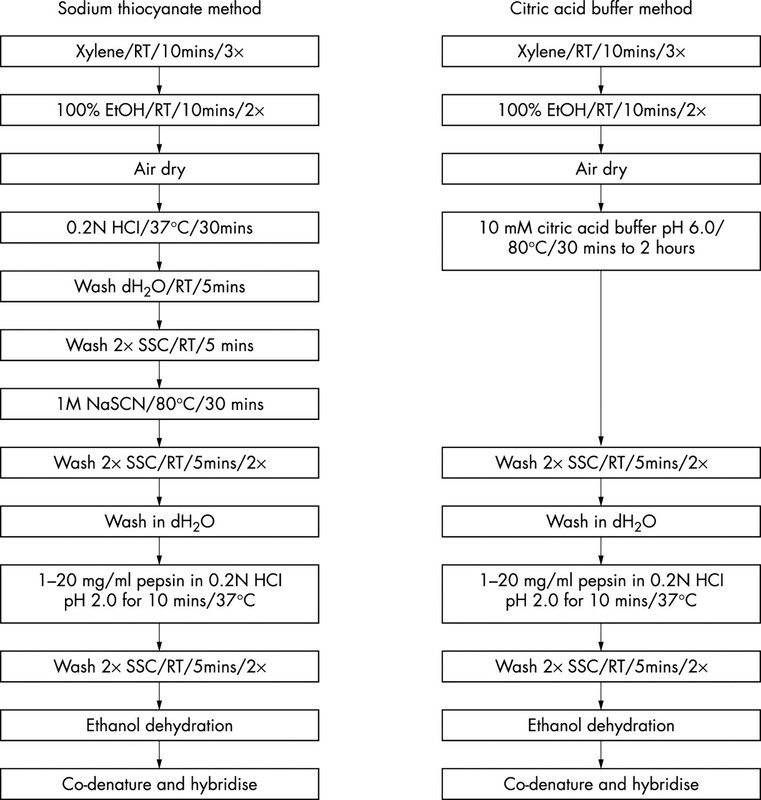 A flow chart comparing the steps in the pretreatment of paraffin wax embedded tissue sections using either sodium thiocyanate (NaSCN) or citric acid buffer. EtOH, ethanol; dH2O, distilled water; SSC, saline sodium citrate; RT, room temperature; mins, minutes. Aliquots containing 100 ng of home labelled probes or 5 μl of the LAVysion probes (Vysis) were co-denatured with the tissues at 80°C for 10 minutes and hybridised at 37°C for 48–72 hours. After hybridisation, slides were washed in 0.4× saline sodium citrate (SSC)/0.3% Nonidet P-40 at 73°C for three minutes, followed by 2× SSC at room temperature. Slides hybridised with directly labelled probes were dehydrated in an ethanol series, air dried and counterstained with 4′,6-diamidino-2-phenylindole in antifade solution (Vectashield; Vector Laboratories, Peterborough, UK). For probes labelled indirectly with digoxigenin, estradiol, or biotin, the slides were blocked with 3% bovine serum albumin made up in 2× SSC containing 0.05% Tween 20 (2× SST) for 20 minutes and washed three times with 2× SST at room temperature. This was followed by incubation at 37°C for 30 minutes with either antidigoxigenin–fluorescein isothiocyanate, anti-estradiol–rhodamine (Roche Biochemicals), or avidin–CY5 (Amersham, Little Chalfont, Buckinghamshire, UK). The slides were washed three times in 2× SST at room temperature. The slides were mounted as described above. Slides were examined under a Zeiss Axioplan 2 epifluorescence microscope (Zeiss, Welwyn Garden City, UK) equipped with single band pass emission filters. Digital images were taken using a Hamamatsu ORCA II camera (Hamamatsu, Welwyn Garden City, UK) operated via the SmartCapture software (Digital Scientific, Cambridge, UK). First we evaluated the effect of the different pretreatments on tissue morphology and attachment to the slides. Pretreating paraffin wax embedded sections with 1M sodium thiocyanate at 80°C for 30 minutes was most detrimental to the condition of the sections, especially for TMAs, where the cores were “floating” loosely from the slide. The loss of tissue from the slide was more apparent after protein digestion, independent of the concentration and type of enzyme used (pepsin, proteinase K, or protease). When the TMAs were pretreated with NaSCN, approximately 44.5% of the cores were lost (fig 2) when compared with citric acid buffer treatment. The loss of cores after sodium thiocyanate pretreatment was consistent in several TMA sections tested. The attachment of the tissues to the slide was not improved by the use of aminoproplyltriethoxysilane coated slides or Dako silanised slides (46% loss). Reducing the length of incubation to 10 minutes or reducing the temperature to 45°C improved the attachment of the tissue sections, but the quality of the FISH signals was compromised (data not shown). Less than 1% of the cores were lost using our pretreatment method (fig 2) on more than 30 TMA sections used. Comparison of the effects of two different pretreatment protocols on the integrity of the tissue cores on a tissue microarray (TMA) using positively charged slides. The sections were treated with 10mM citrate acid buffer (pH 6.0) at 80°C for two hours (left) or 1M sodium thiocyanate at 80°C for 30 minutes (right). Both TMAs were treated with 5 mg/ml pepsin at 37°C for 15 minutes. The sections were stained with haematoxylin and eosin. We found that the alternative heating methods with citric acid buffer used daily in immunohistochemistry laboratories were also gentler on the tissue sections and less cores were lost when compared with the sodium thiocyanate protocol. Only 5% of tissue cores were lost when TMAs were heated in a pressure cooker, whereas a loss of only 2% was seen after microwaving (data not shown). We assessed the quality of the FISH signals by comparing the relative signal intensities of each fluorophore as demonstrated by the exposure time and the amount of autofluorescence background. Signal intensity was comparable using both treatment protocols, citric acid buffer and sodium thiocyanate. The main difference was in the amount of autofluorescence background, which was much higher using the sodium thiocyanate treatment (data not shown). This made the scoring of signals by eye difficult and automated digital capture of the images impossible. No difference in signal quality and autofluorescence background was found between the three citric acid buffer based methods, which were significantly better than the sodium thiocyanate method, and allowed for scoring by eye. The citric acid buffer protocol worked robustly with both centromeric probes and locus/gene specific probes (fig 3). The quality of the FISH signals generated from in house labelled probes was comparable to that obtained using commercial probes, for example GARP versus cyclin D1 (fig 3F). In addition to breast cancer tissues, we found that our pretreatment protocol worked without further optimisation for other types of tissues, such as colon, lung, lymph node, prostate, muscle, kidney, and Ewing’s sarcoma, suggesting that the protocol is robust (fig 3A–D). Neither the citric acid buffer nor the sodium thiocyanate protocol worked well with liver, spleen, or thyroid tissues because of the high autofluorescence emitted by the tissue and by blood cells. (A–D) Assessment of the robustness of the citrate acid buffer/two hour pretreatment protocol in different tissue types: (A) colon, (B) lung, (C) lymph node, and (D) prostate. The following LAVysion probes were used: EFGR–Spectrum Red, c-MYC–Spectrum Gold, chromosome 5p15.2 and centromere of chromosome 6 (CEP6)–Spectrum Aqua. Amplification of EFGR can be seen in the lung tumour (B). (E,F) Assessment of the robustness of the citrate acid buffer/two hour pretreatment protocol using commercial directly labelled probes and in house probes. (E) LAVysion probes; (F) CCDN1 (cyclin D1)–Spectrum Orange and in house labelled GARP–digoxigenin–fluorescein isothiocyanate. The sample shown here is a core from the breast tumour tissue microarray, which is aneuploid (four to six copies) and has a massive amplification on chromosome 11q13 encompassing CCDN-1 and GARP. Incubating the slides for a minimum of 30 minutes was adequate for probes with highly repetitive sequences, such as centromeric probes, but when co-hybridising these probes with single copy probes, only the centromeric signals were consistently present in every cell. Incubating for 60 minutes resulted in strong signals for both types of probe. Longer incubation times resulted in no improvement in signal intensity or autofluorescence background (data not shown). Citric acid buffer pretreated slides required no pepsin digestion if the probes were made of highly repetitive sequences, but a minimum of 1 mg/ml pepsin digestion for 15 minutes at 37°C was required for single copy probes. Increasing the concentration of pepsin to 5 mg/ml did reduce the autofluorescence background, but no difference in signal intensity was obtained. Using pepsin at concentrations greater than 10 mg/ml (data not shown) increased tissue digestion, significantly altered tissue morphology, and resulted in increased autofluorescence. In addition, we compared the efficacy of different types of proteolytic enzymes (pepsin, protease, and proteinase K) and found that proteinase K was the least suitable because it left highly fluorescent speckles within the cells (data not shown). We have found that sodium thiocyanate pretreatment is too harsh when applied to TMAs, because tissue sections were found to detach from the slides and were susceptible to mechanical disaggregation, caused by changing of the microscope focal plane. Loss of tissue cores presents further problems in sample identification and analysis on a TMA, where the identity of each section is based on the positional grid. The optimal concentration, incubation time, and temperature of these agents must be titrated for different tissue sections and tissue types. Therefore, finding the optimal conditions for all cores on a TMA is often difficult. Leers et al reported recently that heating dewaxed tissue sections in 10mM citric acid buffer at 80°C for two hours followed by a short proteolytic step greatly improved the resolution of DNA flow cytometry profiles of paraffin wax embedded tumour tissue.3 The authors suggested that heating cells in an acidic environment led to the extraction of chromatin proteins and consequently allowed better binding of propidium iodide to DNA, thereby increasing fluorescence intensity. We decided to adapt this pretreatment protocol for FISH and the results presented here show that our revised protocol produced FISH signals with a significantly higher signal to noise ratio than the commonly used sodium thiocyanate pretreatment. Leers et al used tissue sections of 50 μm thickness, whereas TMA sections are only 4–5 μm thick. We found that the length of incubation could be reduced to one hour with no compromise in FISH signal intensity. FISH using the citric acid buffer protocol was successful for 22 locus specific probes, four centromeric probes, and four commercial locus specific probes in more than 90% of the cores on a TMA containing 100 cores of breast tissues (normal and tumour tissues). The cores where FISH was unsuccessful contained over 90% stromal material. Citric acid buffer has previously been used in standard antigen retrieval protocols that involve heating the slides at high temperatures by pressure cooking or microwaving.15,19 We have found that the method of heating the slides in the citric acid buffer was irrelevant because no difference in signal quality or autofluorescence background was seen when comparing the three citric acid based methods. The number of cores lost after pressure cooking or microwaving was minimal compared with the sodium thiocyanate protocol. However, of the three citric acid buffer based methods, ours was the easiest and most practical because it can be performed using a waterbath, which is easily found in most laboratories. In conclusion, we have developed and validated an efficient pretreatment protocol for FISH on TMAs of paraffin wax embedded tumour samples that has the following advantages: (1) it is simple and robust; (2) it does not use toxic chemicals, such as sodium thiocyanate; (3) it is cheaper than alternative methods; (4) it results in significantly reduced core loss when applied to tissue microarrays; (5) it works with commercial and in house probes; and (6) it allows for simultaneous hybridisation of both repetitive sequences and single copy probes without compromising signal to noise ratio. This research was funded in part by Cancer Research UK and a research grant from the Royal Society. We thank Dr K Gorringe for constructive comments on the manuscript. Fletcher JA. DNA in situ hybridization as an adjunct in tumor diagnosis. Am J Clin Pathol1999;112(suppl 1):S11–18. Gray JW, Pinkel D, Brown JM. Fluorescence in situ hybridization in cancer and radiation biology. Radiat Res1994;137:275–89. Leers MP, Schutte B, Theunissen PH, et al. Heat pretreatment increases resolution in DNA flow cytometry of paraffin-embedded tumor tissue. Cytometry1999;35:260–6. Bohlander SK. Fusion genes in leukemia: an emerging network. 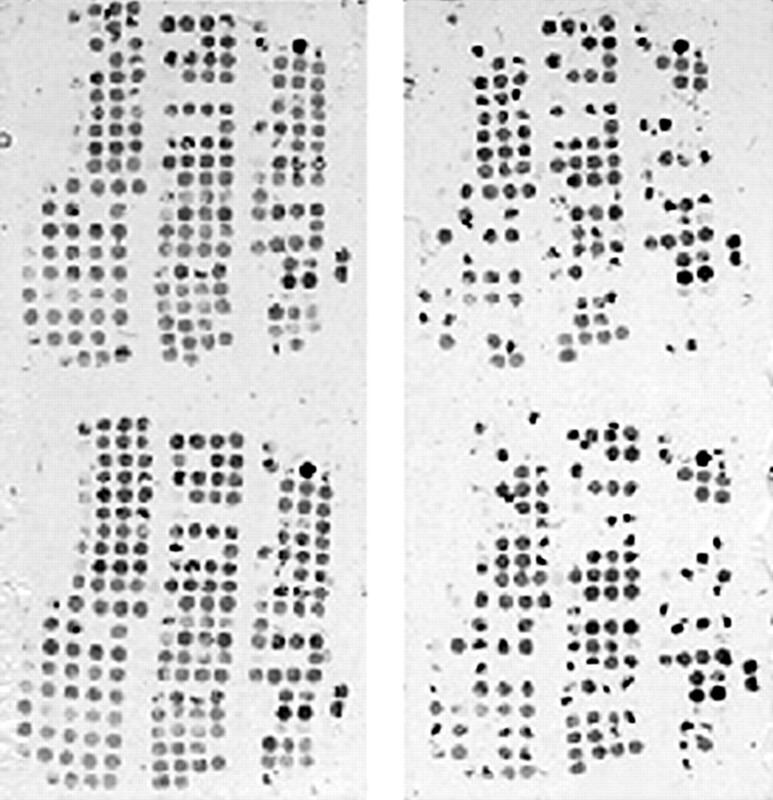 Cytogenet Cell Genet2000;91:52–6. Janocko LE, Brown KA, Smith CA, et al. Distinctive patterns of Her-2/neu, c-myc, and cyclin D1 gene amplification by fluorescence in situ hybridization in primary human breast cancers. Cytometry2001;46:136–49. Dowsett M, Bartlett J, Ellis I, et al. Correlation between immunohistochemistry (HercepTest) and fluorescence in situ hybridization (FISH) for HER-2 in 426 breast carcinomas from 37 centres. J Pathol2003;199:418–23. Bartlett J, Mallon E, Cooke T. The clinical evaluation of HER-2 status: which test to use? J Pathol2003;199:411–17. Bubendorf L, Nocito A, Moch H, et al. Tissue microarray (TMA) technology: miniaturized pathology archives for high-throughput in situ studies. J Pathol2001;195:72–9. Kallioniemi OP, Wagner U, Kononen J, et al. Tissue microarray technology for high-throughput molecular profiling of cancer. Hum Mol Genet2001;10:657–62. Kononen J, Bubendorf L, Kallioniemi A, et al. Tissue microarrays for high-throughput molecular profiling of tumor specimens. Nat Med1998;4:844–7. Puchtler H, Meloan SN. On the chemistry of formaldehyde fixation and its effects on immunohistochemical reactions. Histochemistry1985;82:201–4. John HA, Birnstiel ML, Jones KW. RNA–DNA hybrids at the cytological level. Nature1969;223:582–7. Gall JG, Pardue ML. 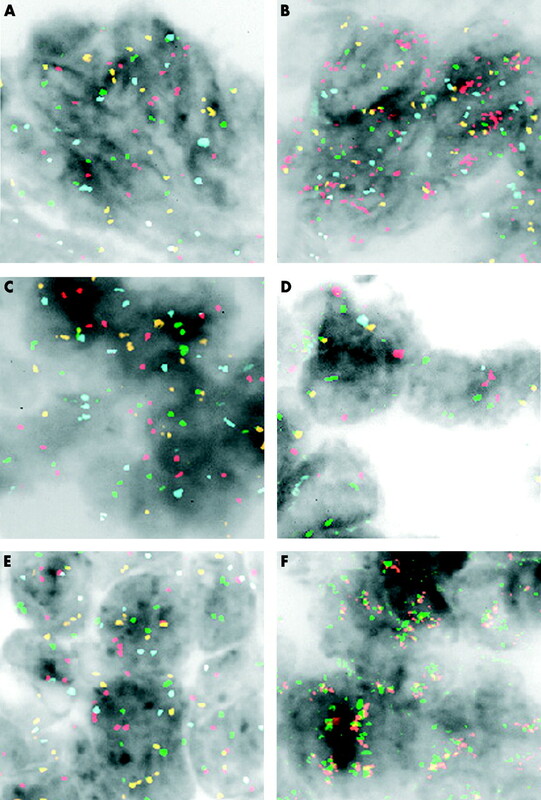 Formation and detection of RNA–DNA hybrid molecules in cytological preparations. Proc Natl Acad Sci U S A1969;63:378–83. Pardue ML, Gall JG. Molecular hybridization of radioactive DNA to the DNA of cytological preparations. Proc Natl Acad Sci U S A1969;64:600–4. Shi SR, Key ME, Kalra KL. Antigen retrieval in formalin-fixed, paraffin-embedded tissues: an enhancement method for immunohistochemical staining based on microwave oven heating of tissue sections. J Histochem Cytochem1991;39:741–8. Hopman AH, van Hooren E, van de Kaa CA, et al. Detection of numerical chromosome aberrations using in situ hybridization in paraffin sections of routinely processed bladder cancers. Mod Pathol1991;4:503–13. McNicol AM, Farquharson MA. In situ hybridization and its diagnostic applications in pathology. J Pathol1997;182:250–61. Syrjanen S. Viral gene detection by in situ hybridization. In: Herrington CS, McGee JOD, ed. Diagnostic molecular pathology, a practical approach. Oxford/NY: Oxford University Press, 1992:103–37. Werner M, Von Wasielewski R, Komminoth P. Antigen retrieval, signal amplification and intensification in immunohistochemistry. Histochem Cell Biol1996;105:253–60.